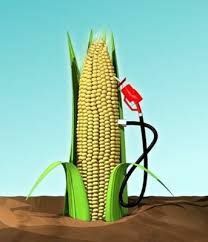 Once upon a time, the government of NF (New Frackville) commissioned an independent, academic study to convert corn into petrol. Corn was in short supply and due to climate change, degraded soil, etc would likely remain so. A panel consisting of a fox, 3 wolves and a number of badgers were appointed. No roosters were asked to join it as they would only crow about the chickens’ need for grain, and, if any had actually experienced the affects of corn shortage – starvation for example-, that would not be considered academic. A number of papers were produced showing how much money could be made and how many jobs would be created by turning corn into petrol. Since there were no roosters asked to write papers on the negative effects of turning corn into petrol, these could not be determined. At a series of public meetings following the publication of several of the study papers, the panel chairman was surprised to learn that almost all the chickens were opposed to the project. He assured them that the independent academic studies showed that if the government regulated the supply of corn and if those regulations were enforced, there would be no shortage of corn for the chickens. Had they no confidence in their government, in the democratic process, in the independent role academics played in the decision making process (without remuneration) or in the expertise of industry representatives with years of knowledge in how to convert corn to petrol? One paper showed that First Nations chickens had special rights to the corn grown on their reserves which in theory should protect them from having it converted to petrol without their being consulted. First Nations chickens, aware that these rights had not been upheld by various levels of government, nor supported by the rest of the chickens for the past 250 years, questioned how effectively their rights might be to delay or hold up the corn conversion project in their areas.